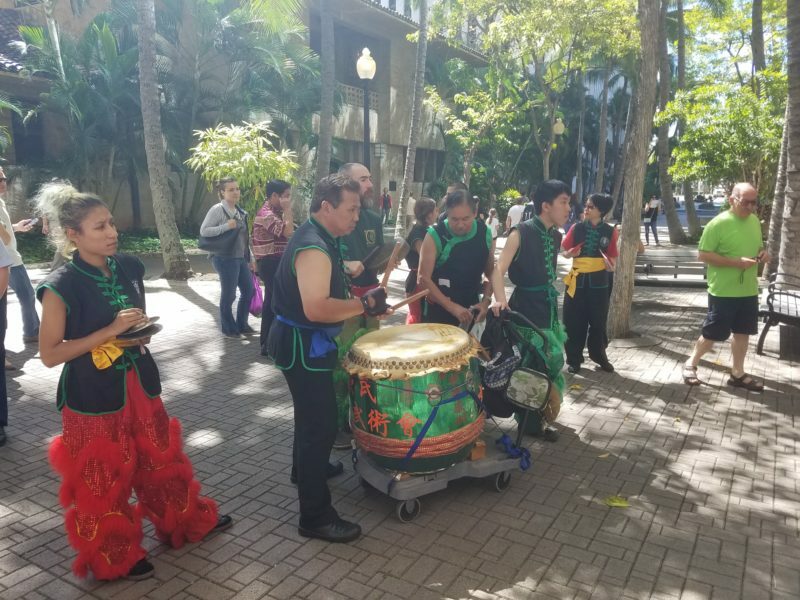 Chinese New Year in Hawaii is upon us, and Oahu visitors can find vibrant street festivals and community events to ring in the Year of the Pig. Chinese New Year celebrations are meant to ensure health and prosperity in the year to come. Fireworks pop in the streets and windows rattle as frenetic lion dancers visit area businesses. They bring good luck and collect donations in red envelopes. Red is the traditional color of the Chinese New Year. The money-green of collections is also a color of good luck. Drummers pound and everyday activities stop in the excitement of the spectacle. Chinese New Year takes to the street. SALT celebrates in Kakaako on Saturday, January 19. SALT is a complex of galleries, restaurants, and retail in an area now famous for its many captivating wall murals. The event begins at 11am, and it’s free. That’s plenty of time to take in the dynamic, modern feel of Kakaako. Its quickly-growing restaurants, bistros, businesses and creative enterprises are a favorite destination for residents and visitors. The family friendly event features lion dancers and live entertainment, as well as an appearance by the Narcissus Court. The history of the Chinese in Hawaii took root in Honolulu’s Chinatown Arts District. It’s no wonder that the Aloha State’s largest Chinese New Year celebrations will be held there. The Night in Chinatown on Saturday, February 2 will be the biggest. Beginning at the Chinatown Cultural Plaza, the festival spills into the streets in a splash of brilliant color and roaring drums and fireworks. It features food booths and entertainment, lion dancers, and the Narcissus Queen and her Court. 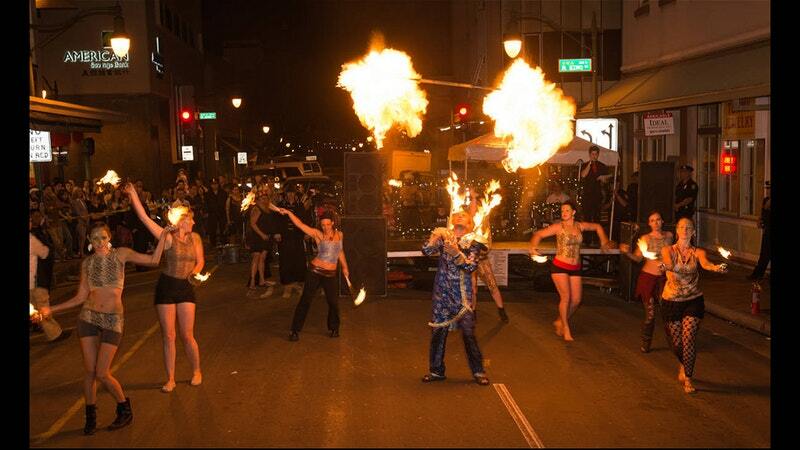 Three stages of live music, martial arts demos, and a parade to kick off at 4:30pm add to the excitement. This year promises to be exceptionally joyous, as last year’s planned festivities were called off due to budget and timing issues. Offerings to Chinese New Year lion dancers. With dozens of vendors and performances scheduled, the day-long and family-friendly event promises to draw thousands. It will be a welcome return for a beloved annual tradition that celebrates not only the Chinese New Year, but the spirit of aloha and ohana. There are also Chinese New Year celebrations planned on Maui and the Big Island. The Queen’s Marketplace at Waikoloa Beach Resort on the Big Island features an “Asian Fest” on Friday, February 1. It will feature lion dancing and taiko drumming to welcome health and prosperity in the Year of the Pig. Similarly, on Maui the Kaanapali Beach Resort holds its Chinese New Year Brunch Celebration on Sunday February 10 from 9am-1pm, with specialty foods and lion dancing and fireworks. 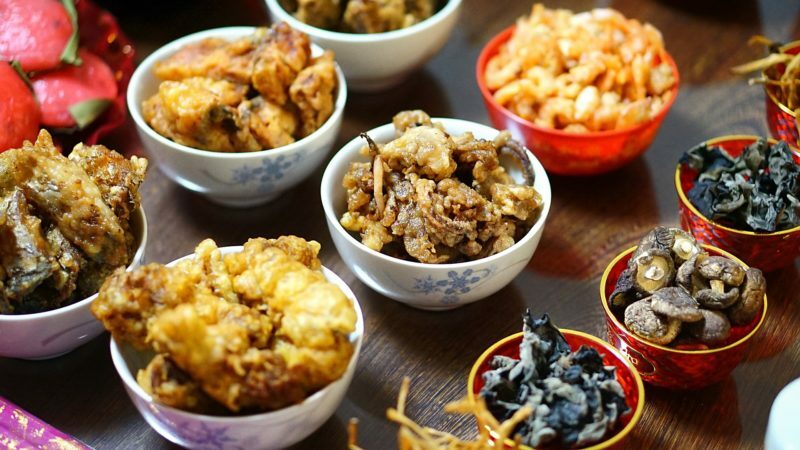 Traditional Chinese New Year foods. Photo Pixabay. 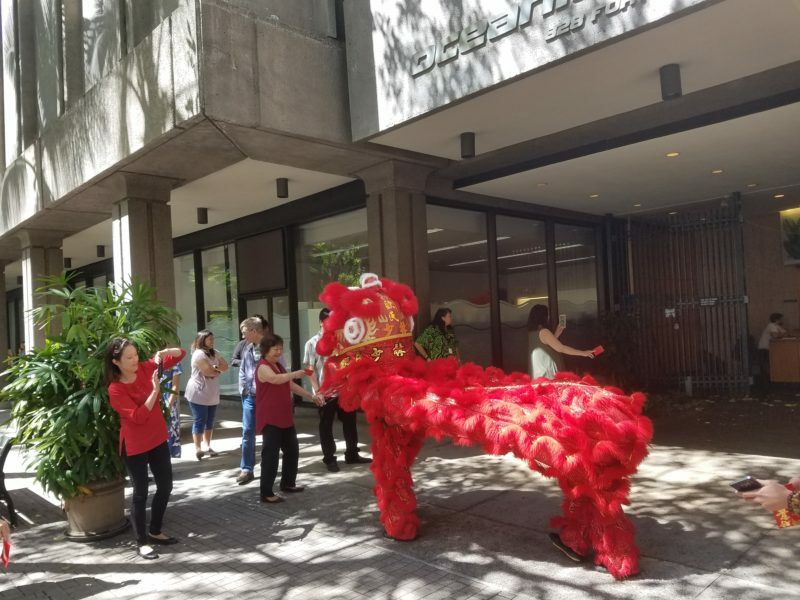 Because of the deep influence of Chinese culture on life in Hawaii today, Chinese New Year is always a special time of the year. Many non-Chinese families have adopted Chinese traditions over the many generations since the arrival of the first Chinese in Hawaii. It may be hanging Chinese decorations, enjoying food favorites, or simply just attending events like the ones above. Chinese New Year in Hawaii is a welcoming tradition. With a little imagination, visitors and residents alike are transported back to ancient times in the carnival of sights, sounds, tastes, and smells that make Chinese New Year in Hawaii so unique.